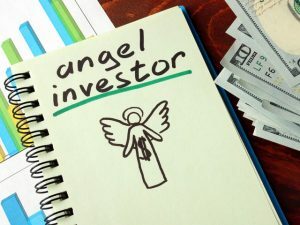 Do You Have a “Qualified Business” for the Angel Investor Tax Credit? From an investor standpoint this is a great deal…and it is a great deal for new businesses as well. However, from what I can tell, there are many more start-up businesses in South Carolina that are not becoming qualified businesses because they either don’t know what to do or they don’t even they can do it. First of all, a qualified business has to register with the South Carolina Secretary of State to be registered as such. If they don’t register, they are not a qualified business, plain and simple. The business must be a corporation, limited liability company, general partnership, or limited partnership located and headquartered in the state of South Carolina. The business must have been organized for no more than five years before the qualified investment was made. The business must have 25 or fewer employees. The business must have had a gross income of $2 million or less in any complete fiscal year before registering as a qualified business. Most people think that to qualify as a qualified business, they must be a high-tech or software company, but that couldn’t be further from the truth. And doing so may provide them with an extra edge in attracting capital. For more information on the Angel Investor Credit, including application forms, visit the SC Secretary of State website.